I recently made the decision to untether* from my vinyl collection. I first bought records when I was a kid. 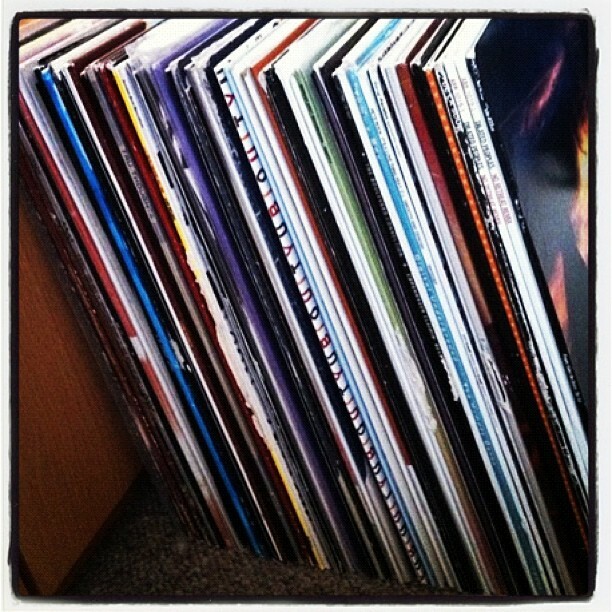 I started to seriously buy records in 1999 when I started to DJ at uni. 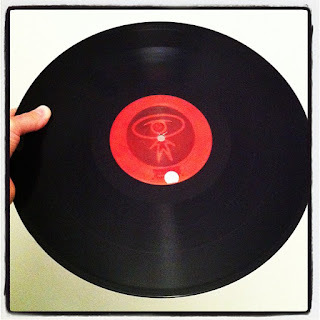 I bought a whole load of records over the next 5-8 years, mostly via mail order from Turntable Lab in NYC. I remember the day I actually went there in the flesh. It was like a mini pilgrimage to the birthplace of the music I loved. I took many records back home. I loved everything about vinyl. Taking a record out it’s sleeve, being careful not to touch the surface, blowing off any dust, setting it on the platter, lifting the needle across and letting it drop gently, before hearing that familiar warm crackle and the music began. Ahhh. Bliss. Compare this with the flipside. It’s never easy negotiating a full record bag through airport luggage systems and I always worried whether it would arrive at my destination. Many a fellow DJ lost their entire record collection including rare gems whilst travelling, when they would mysteriously disappear on route before baggage claim. But still I kept on buying. I made the switch form vinyl to Serato a few years back. Serato is a digital vinyl system, which allows me to play mp3s from a laptop using 2 real vinyl control records. It’s the best of both worlds. 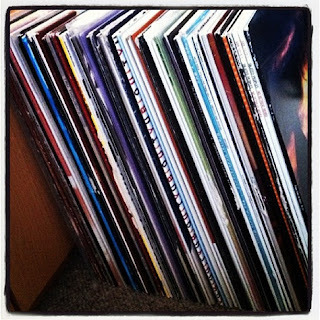 I couldn’t face another airport trip with the weight of vinyl hanging off my shoulder. I love the freedom this brings and it has allowed me to travel to gigs abroad with the minimum of hassle. The last of my collection. I have made the decision to part with this also. I will miss my vinyl in many ways but feel I have made the right decision. I always have the memories of the positives. At this time I am not sure where I am going to be for how long and love to be as portable as possible with the minimal amount of kit. The ebay bids are rising on my collection as we speak and I have ordered some boxes to mail them safely. I am glad that someone else will get pleasure from them for a while longer. I feel lighter and there is more space to carry on creating and doing the real work. *Note – I borrowed the term “untethering” from Ev Bogue.